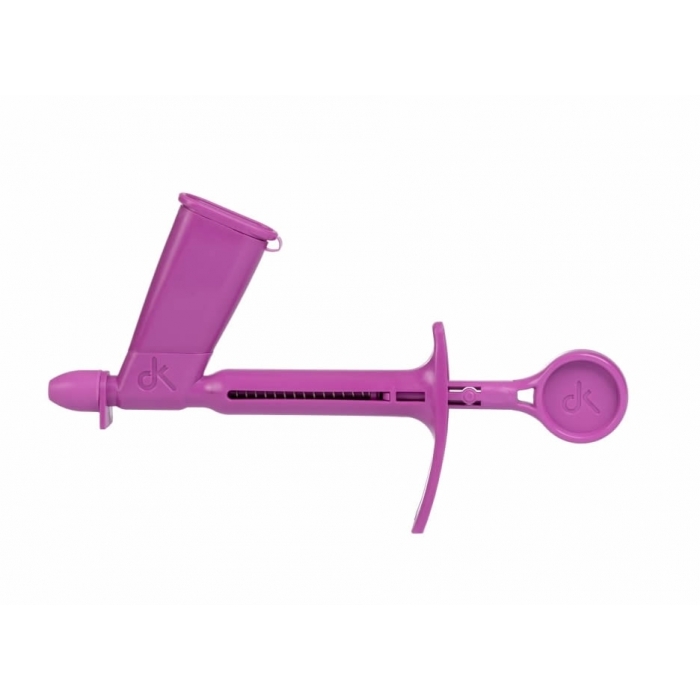 DrageeKiss - the must have tool to help you attach dragees and pearls to your cake with ease. No more tweezers and dropping pearls all over the floor. 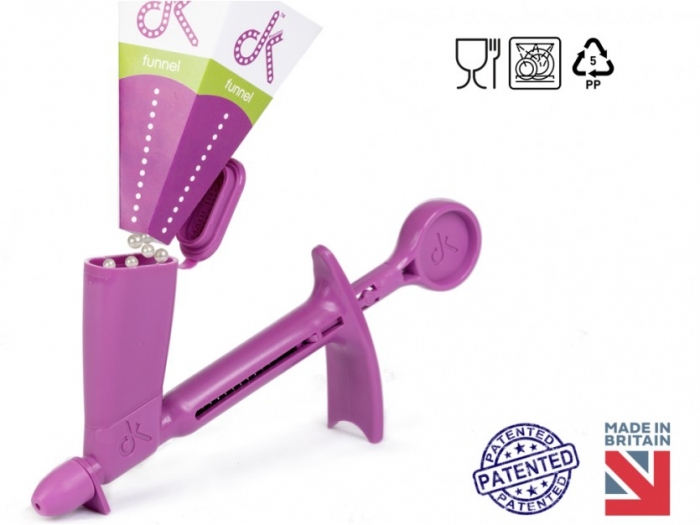 This ingenious product allows you to load the dragees into the hopper and position the pearls with ease on to your cake. Dragees in image are for demonstration purposes only and not included with the product for sale.